The HTC Desire is one of the latest high end phone by HTC bringing a huge 3.7" inch high quality AMOLED screen for crystal clear viewing, powered by a 1 GHz Qualcomm Snapdragon processor and runs on, you guessed it, Android. We first heard about the Desire AKA HTC Bravo back in December of 09 when a leaked portfolio from HTC bursted on to the interwebz. There was a lot of excitement and buzz over the bravo as it had very good specs andwas quite the looker. The Desire is a Sense phone and comes with a 5 megapixel camera with geo-tagging, autofocus and even face detection. There are, of course, other specs you would expect including wifi b/g , bluetooth and GPS, digital compass and accelerometer, all of which Android can take advantage of. oh yeah, they have an FM receive too! Like to tweet? HTC have pre-installed a Twitter client as well as Facebook to take care of your Social networking needs. Other applications are available both free and paid on the Android market so you have a wide variety to choose from. 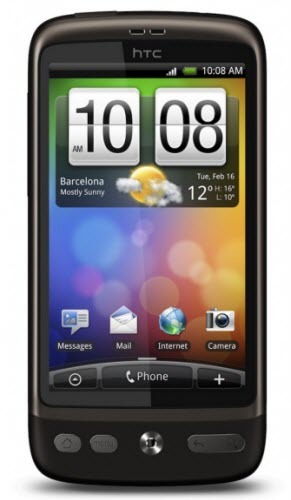 The HTC Desire is available now Sim-free & unlocked and is available subsidized at a number of carriers around the world. 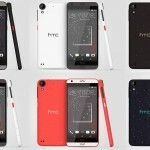 Is this HTC’s newest addition to their mid-range lineup? @evleaks and @LlabTooFer have released some information regarding a possibly upcoming release for a budget device from the folks at HTC.